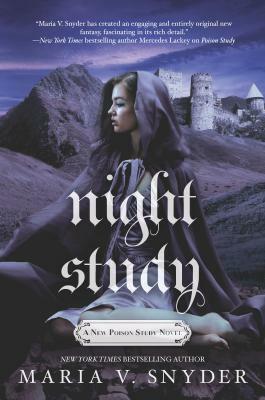 New York Times bestselling author Maria V. Snyder transports readers back to the realms of Sitia and Ixia in an exciting new Study novel full of magic, danger and intrigue. Ever since being kidnapped from the Illiais Jungle as a child, Yelena Zaltana's life has been fraught with peril. But the recent loss of her Soulfinding abilities has endangered her more than ever before. As she desperately searches for a way to reclaim her magic, her enemies are closing in, and neither Ixia nor Sitia is safe for her anymore. Especially since the growing discord between the two countries and the possibility of a war threatens everything Yelena holds dear. Valek is determined to protect Yelena, but he's quickly running out of options. The Commander suspects that his loyalties are divided, and he's been keeping secrets from Valek...secrets that put him, Yelena and all their friends in terrible danger. As they uncover the various layers of the Commander's mysterious plans, they realize it's far more sinister than they could have ever imagined.